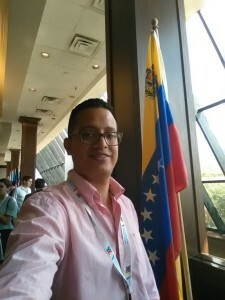 Jonathan Castro is the Founder of La Cuadra Universitaria in Venezuela. He is one of 248 fellows participating in the Young Leaders of the Americas nitiative (YLAI) Professional Fellows Program, a presidential initiative that empowers entrepreneurs and innovative civil society leaders from Latin America and the Caribbean. YLAI is focused on strengthening their capacity to launch and advance their entrepreneurial ideas and effectively contribute to social and economic development in their communities.